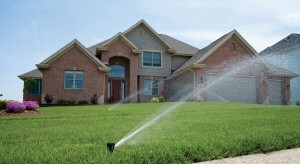 At NorthTech, we offer custom irrigation systems to help you create a beautiful lawn. Is an Automated Lawn Sprinkler System Right for You? Allows you to enjoy more valuable leisure time. Gives you convenience and consistency. Creates an attractive and healthy lawn. Enhances the value of your property. At NorthTech Irrigation, our streamlined process and choice of quality products will have you up-and-running in no time at all. In most cases, we can get you scheduled for one-day irrigation system installation. Do you have a garden that needs careful attention? With NorthTech, you can create custom micro irrigation lines for flower and vegetable gardens, promoting maximum water conservation and soil health! Step into spring with a start-up test run and pressurization, get a mid-season check and tune up, and protect your system with thorough winterization. We’ll annually ready your system for spring and summer by pressurizing, closing all valves, checking for leaks, programming the controller and adjusting sprinkler heads. Depending on how weather conditions vary, keep your system optimized by ensuring proper positioning, zone times and watering frequency. We’ll test for leaks or any adjustments that need to be made. We’ll make sure your system is running at optimal levels by testing for pressure and flow. We’ll also estimate your water savings while inspecting for proper coverage and spacing per zone. It’s necessary to protect your system against cold winters. We’ll use compressed air to blow water out of sprinkler lines and will open proper valves. Confidence counts and you can count on us! Contact NorthTech Irrigation’s friendly office staff to schedule your free appointment. A NorthTech Irrigation representative measures and assesses your property to determine a design plan for your water zones, as well as shows you quality equipment options with water efficiency in mind. All specifics will be clearly explained in a formal estimate outlining the total price for materials and installation. After a licensed plumber stubs out a water line, a NorthTech representative will work with the homeowner to schedule an installation. We’ll make sure you get proper zoning and will communicate regularly both with you and with our install crews. Typically, depending on size, lawn sprinkler installation can be completed totally during the scheduled day. Your lawn and landscape are left free of trash and debris. You are left with instructions on how to operate and care for your new automatic sprinkler system, including adjusting the discreetly-placed controller. While we warranty our workmanship for one year, product parts for five years and poly pipes for a lifetime, we highly recommend a maintenance package that includes routine care, spring start-up and winterization. Your first season’s winterization is free!